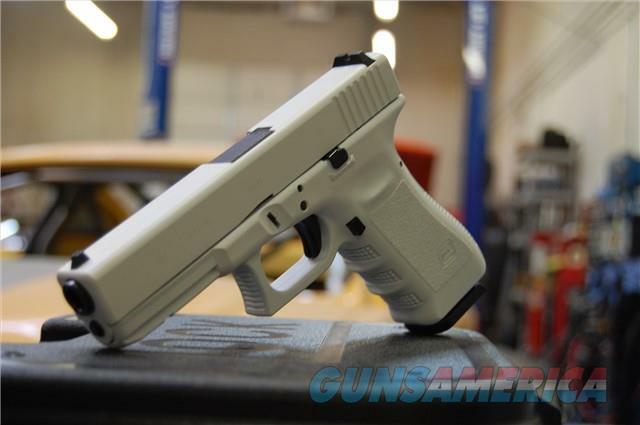 Description: New in box Glock 17 Gen 3 9mm with an X-Werks coated Storm Trooper white frame and slide! Includes 2-17rd mags or 10rd depending on the state you reside in, standard Glock sights, manual, lock, cleaning brush and manual! Need night sights installed? Simply let us know at the time of purchase and we'll get you a price and get them installed! FFL's can be emailed, faxed or mailed to us. Please reference your name and the item number to prevent any delays in shipping.